The purpose of this paper is to present the Madrid Region Mineral Catalogue as one of the most prominent landmarks of the project called "Upgrade and valorization of the collection of minerals from Spanish Administrative Regions and owned by the Geominero Museum: Castilla - La Mancha and Madrid regions", which was funded by IGME for three years and implemented until the end of 2011. 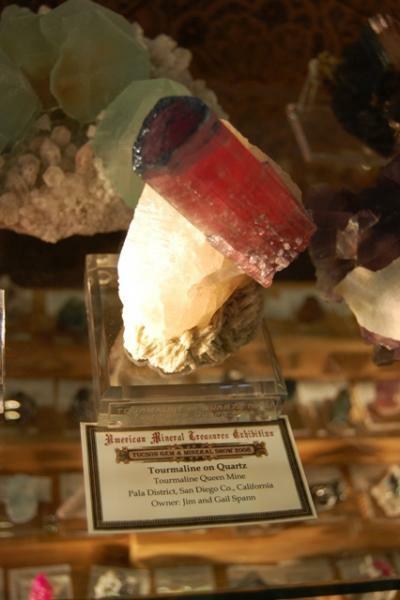 This project was the beginning of the updating of the collection of Spanish minerals of the Museum. 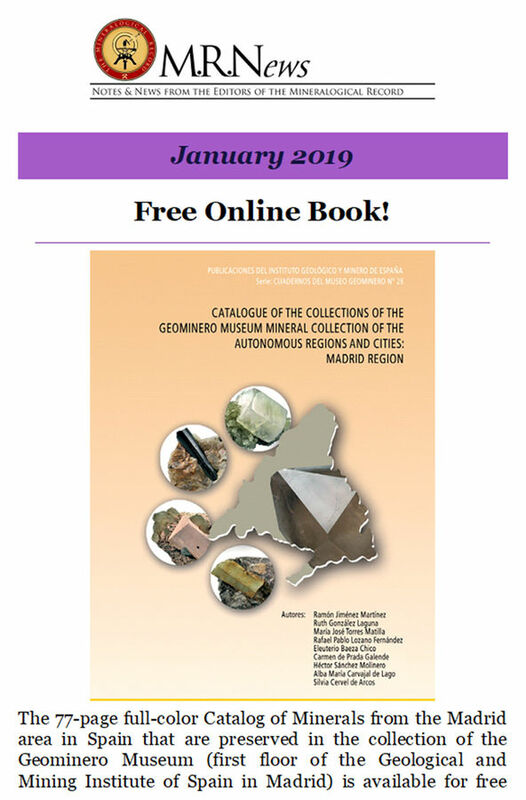 Posted: Jan 20, 2019 14:51 Post subject: The online book of the IGME about Madrid minerals announced in the Mineralogical Record! The IGME offered this book with the purpose to have the maximum diffusion and, success! 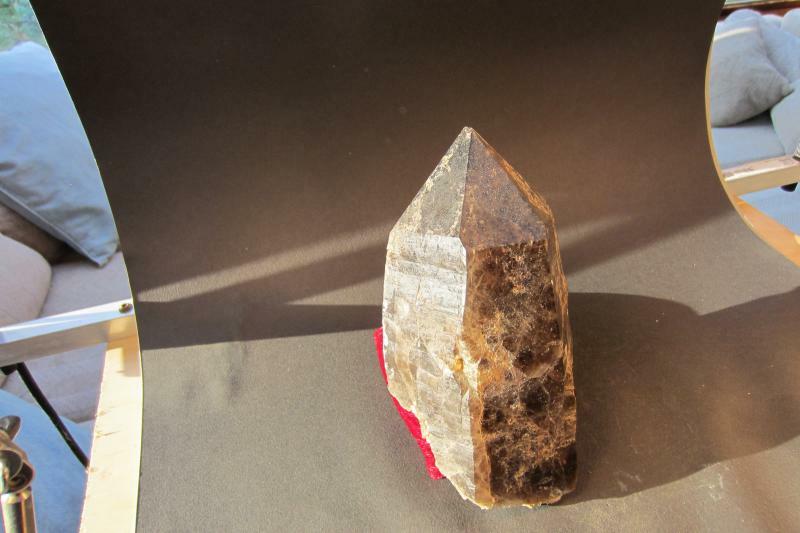 just appeared, very prominent, in the well known Mineralogical Record's newsletter on line: "MR Newsletter January 2019"
Initial display of the online bulletin: "MR Newsletter January 2019"